ESI NoDep is a dietary supplement useful in treating mild or moderate depression, exerting a positive effect on mood. 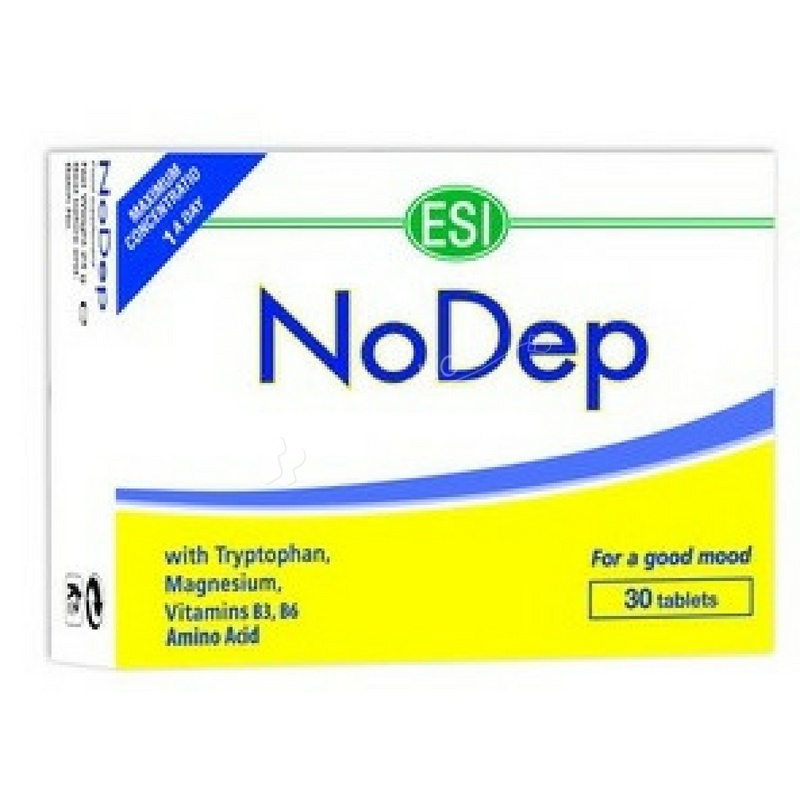 NoDep is a dietary supplement useful in treating mild or moderate depression, exerting a positive effect on mood. It is effective in those states of mind characterized by a sense of worthlessness or guilt, fatigue and physical and mental fatigue, difficulty concentrating, loss of interest in usual activities. The special formula designed by ESI using a capsule containing 4 different release tablets, allows a gradual and steady release by giving the sufficient time (more than two hours) to absorb and transport throughout the body active and provide then long lasting action, defined action Retard. Gluten free, No milk derivatives, Lactose free, No added sugar, No added preservatives, No artificial flavoring, No artificial coloring, No-OGM. It is suggested the intake of one tablet a day, to swallow with plenty of water. Charge agents : dibasic calcium phosphate, microcrystalline cellulose, hydroxypropylcellulose, hydroxypropylmethylcellulose; L-Trytophan; Magnesium Oxide; antibinders : vegetable magnesium stearate, silica dioxide; L-Tyrosine, L-Phenylalanine; Nicotinamide (Niacin); Pyridoxine chlorhydrate (Vit. B6).